There's a new adaptive reuse hotel in Chicago. Kimpton's latest property, The Gray, is located along La Salle Street, 5 blocks from Millenium Park and the Art Institute of Chicago. Guest rooms offer sophisticated styling in a color palette of mostly gray and white. Baleo, the rooftop bar is a South American-inspired retreat on the 15th floor of the hotel, serving Argentinian and Peruvian street food. Steadfast is a chef-driven, ultra-seasonal restaurant with a zinc bar, stately dark wood chairs, plush banquets, and gold accents. For cocktails, Vol. 39 offers an opulent setting with gilded silver carts with caviar and charcuterie, and leather-bound legal books left behind from the previous tenants of the office building before it was transformed into the new hotel. Read more about the new property (below the photo) from our sister publication, Hotel Management, by Mick Tan. 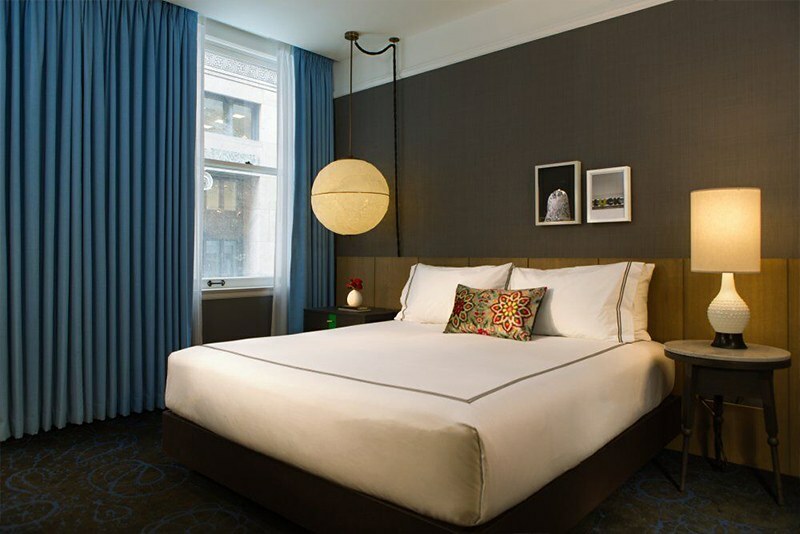 Kimpton opened its latest property, The Gray, in Chicago’s former New York Life Insurance Building that was originally designed by William Le Baron Jenney, and is located on Monroe Street. 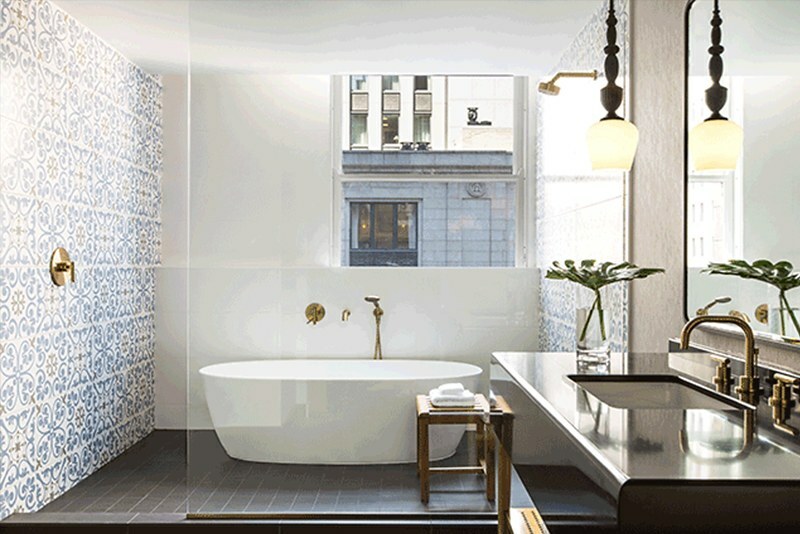 Involved in the historic revamp was Los Angeles-based studio Beleco, which worked with Kimpton’s global senior vice president of design and creative director Ave Bradley for the decor and interiors. Meanwhile, Gensler led the overall design duties for the building’s renovation. Each of the 293 guestrooms now have blue accent colors inspired by the city’s flag; locally sourced artwork; and custom materials such as bathroom wall art reading “Relax, It’s Just Garlic”, a nod to Chicago’s namesake native garlic chicagoua plant. Continue reading below the photo. For events, the property has almost 13,000 square feet of meeting and event space. For dining, The Gray has two onsite dining options. Located on the hotel’s 15th floor, South American venue Boleo has a restaurant, bar, and 4,000-square-foot rooftop under an open-air, retractable glass roof. Meanwhile, the ground-floor eatery Steadfast has a woodfire rotisserie, shaved ice crudo bar and charcuterie room. The lobby also has a bar, Vol. 39, which has a vintage encyclopedia collection discovered inside the property during renovations. Petrosino’s Parlor salon is located on the second floor. Interested in adaptive reuse properties?